Meeting twice a month February - May, three times a month in June/July and once a month August - December. Draft Legal performance is the goal of this program. 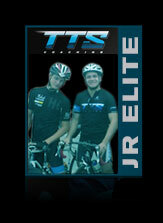 TTS Devo Squad is $79/mo with a 3 month minimum. Your account is billed monthly and after the three month minimum you will have the option of altering your subscription if needed. After you sign up, give us ~24 hours and Ian will contact you within that time.